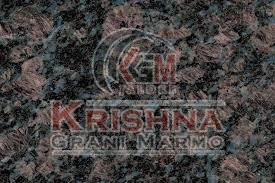 Our company is a prominent Sapphire Brown Granite Stone Manufacturer and Supplier in India. The sedimentary rock Sapphire Brown Granite Stone is processed from mineral calcite with complete care. It is made available in various dimensions to meet diverse requirements. Supreme quality, flawless finish, elegant look, toughness, easy maintenance and exceptional durability are the prime attributes of our granite stone. Sapphire Brown Granite Stone is suitable for commercial and domestic construction applications. We offer Sapphire Brown Granite Stone at the best possible lowest prices.